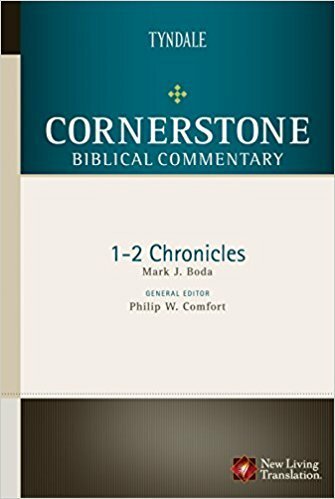 The Cornerstone Biblical Commentary series provides students, pastors, and laypeople with up-to-date, accessible evangelical scholarship on the Old and New Testaments. Presenting the message for each passage, as well as an overview of other issues relevant to the text, each volume equips pastors and Christian leaders with exegetical and theological knowledge so they can better understand and apply God’s Word. This volume includes the entire NLT text of 1 and 2 Chronicles. Mark J. Boda (Ph.D., University of Cambridge) has authored numerous articles and books in addition to editing several collections of scholarly essays on various topics related to the Old Testament and Christian Theology. He taught for nine years at Canadian Theological Seminary before joining McMaster Divinity College in 2003. Mark enjoys mentoring students and teaches with enthusiasm about the Old Testament and its continued relevance to the Christian life today.